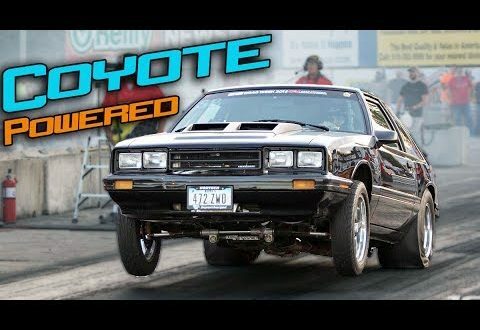 Coyote Swapped Mercury Capri you say? Of Course we love it! This isn’t our first time seeing this potent build shredding down Stick Shift competition without breakin a sweat! We’ve come across this car on a couple events like Drag Week, and it seems the owner treats the car no different during others as he still tows a trailer hundreds of miles to race! Pulling up and shaking down the Stick Shift class of NEAD’s No Prep Throwdown at Eddyville Raceway in Oskaloosa, IA, We we’re happy to witness the monster setup devour it’s competitors!